Given life by gods, the Ogres were the most intelligent and beautful of the early races on Krynn, and they reigned supreme in their perfect kingdom . . .
Until that fabled race was weakened by clan rivalries and evil ambition, their downfall orchestrated by the hand of the Dark Queen, Takhisis . . .
Until the once-proud Ogres were cursed by their own mistakes and transformed into one of Krynn's most ugly, despised, and villainous species . 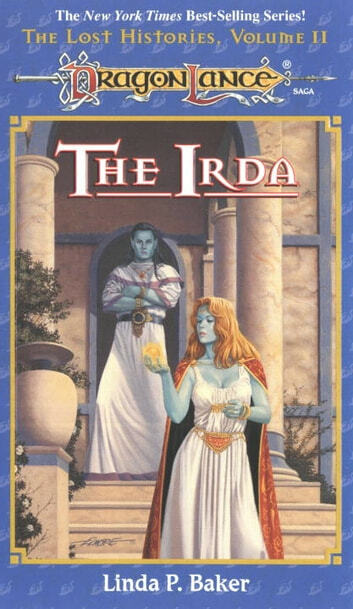 . .
All except a small group, the Irda, who learned to accept goodness, fight for their freedom, and escape to build a utopian civilization of their own on a paradise island in the Dragon Isles. The Lost Histories Series probes the historical roots and epic struggles of the heretofore little-known peoples of Krynn. 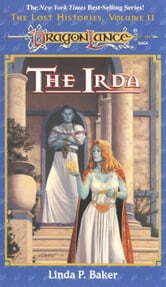 Author Linda P. Baker sheds light on thelegendary origins of this mysterious race, The Irda. I was hoping any tale of the first lengendary race Krynn would be a little more epic in scope and theme. Instead we are treated to the same old themes of power and corruption shown through the actions of unloveable characters. This novel doesn't really add much to the grand tapestry of Dragonlance history and should probably only be read by the most hard-core of fans.